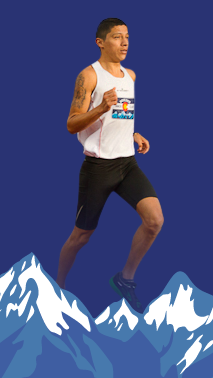 The Boulder Track Club was formed in 2011 and is a 501c(3) not for profit organization located in Boulder, Colorado. Our aim is to create an identifiable running club within the community that caters to individuals of all ages, abilities and running preference. Whether it is Track, XC, Road, Mountain, Ultra or Trail running, the Boulder Track Club’s role is to unite everyone under one umbrella of representation through the sport of running. With our mission statement being the benchmark that all members should abide by, the club structure is one that will work with the community, charities and all it’s members by investing heavily from youth through to the high performance team and everyone in-between. All Boulder Track Club members will work together to promote health, fitness, a love for running and a positive community experience for all involved and our members may either be participatory athletes or supporters of the track club in Boulder, across the US and the world.